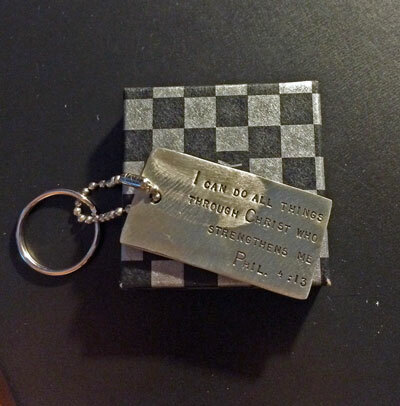 The much loved bible verse from Philippians 4:13 graces this pewter dog tag with the words, "I can do all things through Christ who strengthens me." Don't we all need this reminder at times that we don't do anything alone? 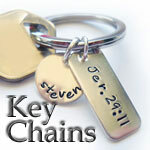 The I Can Do All Things Pewter Dog Tag Key Chain comes with a steel ring and ball chain. Dog Tag measures 1" x 2". Comes boxed.